A delicious philanthropic way to build teams and give back to your local community, this charitable team building workshop includes donating to the charitable organization of your choice. Your teams create additional portions from any of our team-building workshops or programs, package them up for travel, and deliver them to your charitable organization. You also share a few words about the benefiting families that you’re feeding in order to experience a deep and meaningful transformation with powerful insights of gratitude and responsibility. Furthermore, Feed the Need creates the opportunity to build your team while feeding families in need from within the communities you serve. Here is a brief video about one of our clients from Opis Senior Services Group and their profound CSR (Corporate Social Responsibility) experience during their recent “Feed the Need” program. It was fun, inspirational and teamwork with a philanthropic flavor! BUILD GRATITUDE INTO YOUR TEAM NOW! 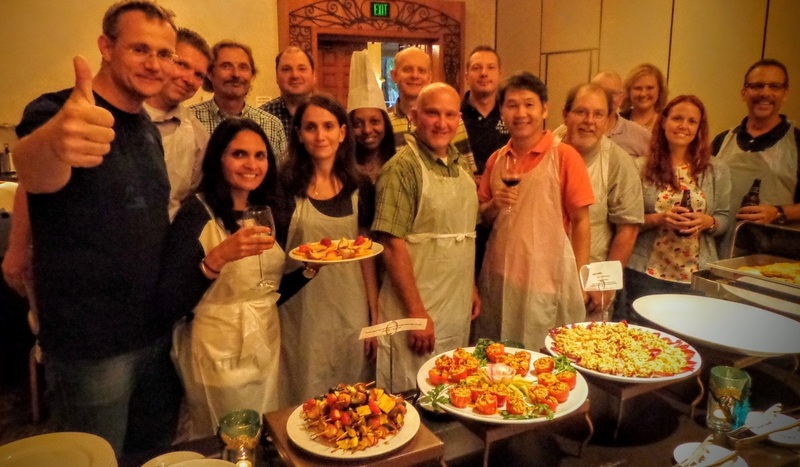 Your team is so unique and special that we'd like to help you design & match the right team building cooking, keynote or training program for you. Give us a call 888-308-8326 or better yet, schedule a time convenient for you!